If you search the internet for slime recipes you are going to find hundreds of different slime activator recipes. Everyone seems to have their own preference on what they like to use to make slime. Today I am going to show you how to make a slime activator with borax. Even though I make different types of slime using activators such as contact solution, liquid starch and even shampoo! After using all of these different products I find that the borax solution works the best as a slime activator. 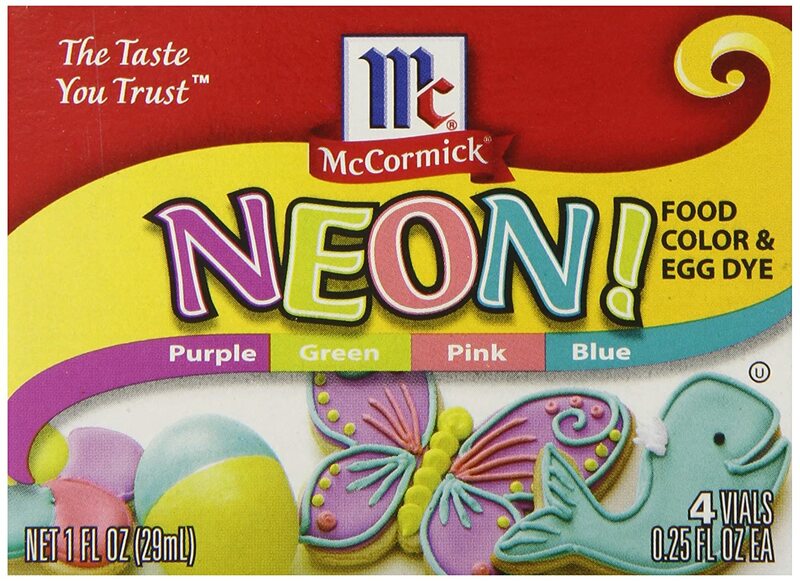 With everyone going slime crazy these days, slime supplies can be hard to find. 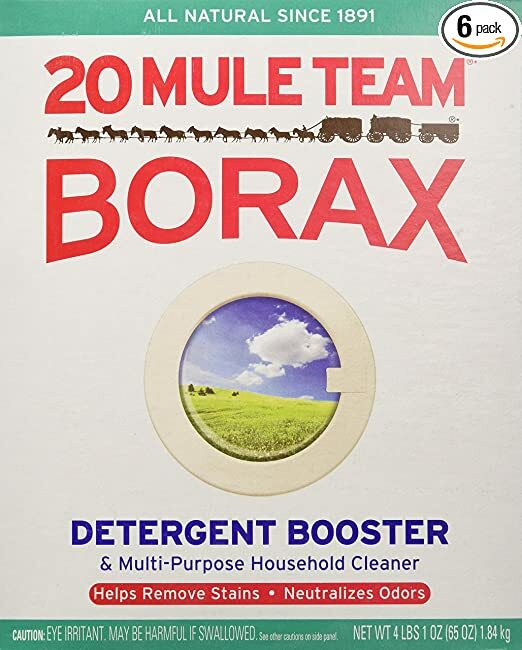 Beat the crowds and stock up on Borax on Amazon. 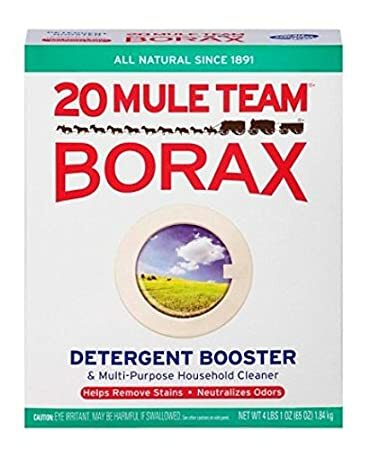 I buy the Borax in bulk because it comes in handy for not only slime but for cleaning things around the house. 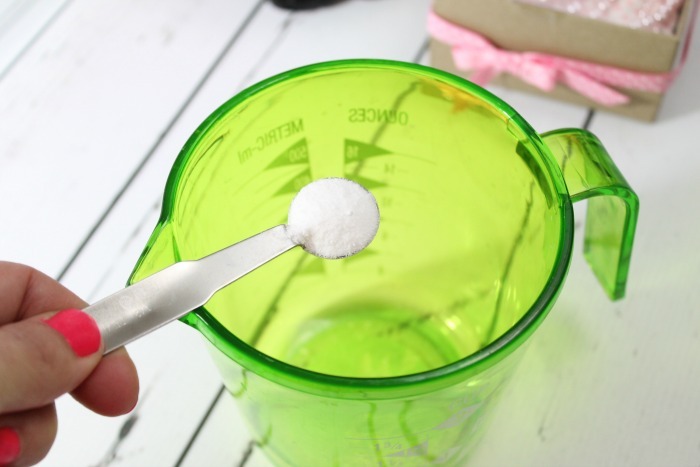 Making Slime Activator with Borax is EASY! To make the slime activator with Borax you will first need hot water. This is very important. If your water is cold, the borax powder won’t mix as well. Once you have your 1 cup of hot water you are going to then add the 1 tsp of borax powder to the water. Stir well until all the powder is dissolved. Let cool before using.So now you that you have your slime activator it’s time to put it to use. I use the slime activator with Borax different ways, depending on what kind of slime I am making. For instance with my crystal clear slime recipe I will pour the glue mixture into the borax and let it set up that way. 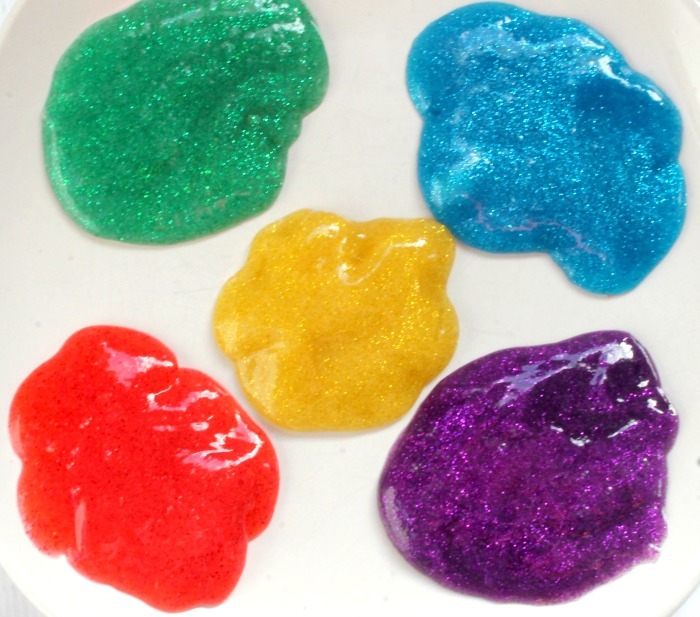 But with my glitter glue slime recipe I will add small amounts of the borax slime activator into my glue until it turns into a slime consistency. This is the way that I prefer to make my slime because it tends to be less messy and you have control on how much borax slime activator your using. When you mix the borax solution into the slime it binds the slime. The glue and borax have different materials and when mixed together it makes the perfect consistency. Here is a more scientific explanation on how things work. It’s actually pretty interesting and a great way to get kids excited about science. 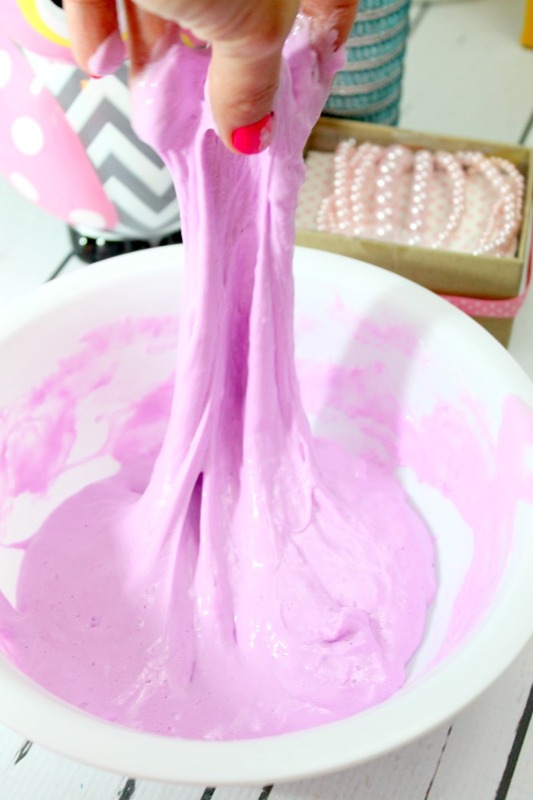 TIP: Slime can easily be made without Borax. All you need is LIQUID STARCH and glue. It’s easy-peasy. Liquid Starch can be hard to find in stores. 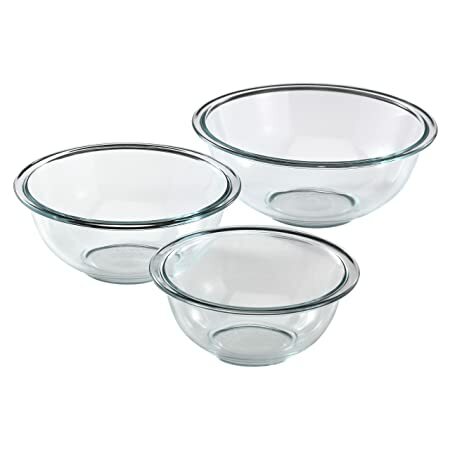 But you can pick up an inexpensive container of liquid starch here (the same kind I use). 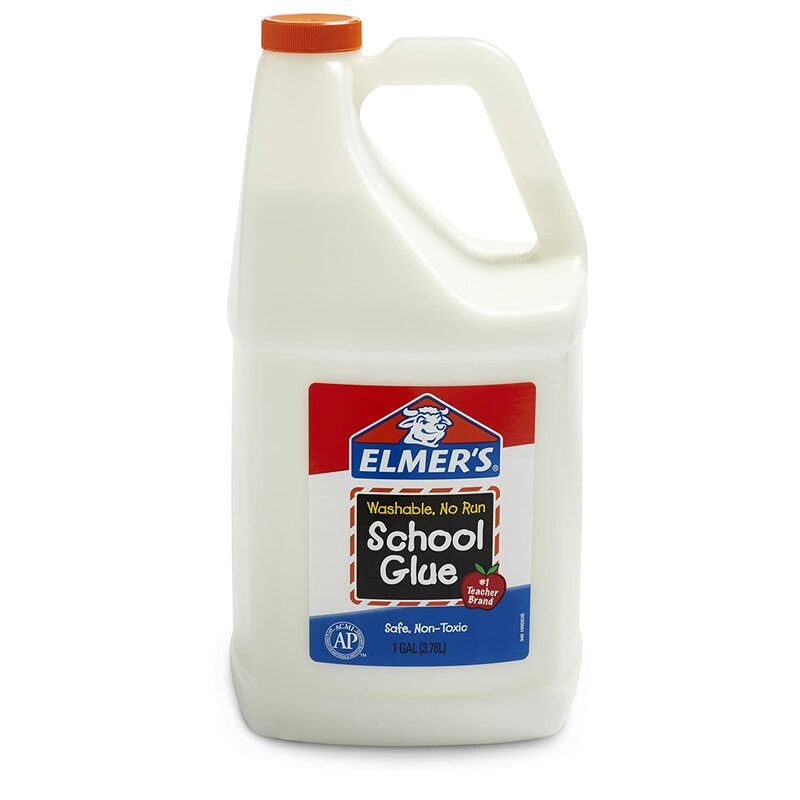 I also like to purchase my glue in bulk so that we can make slime anytime we want. 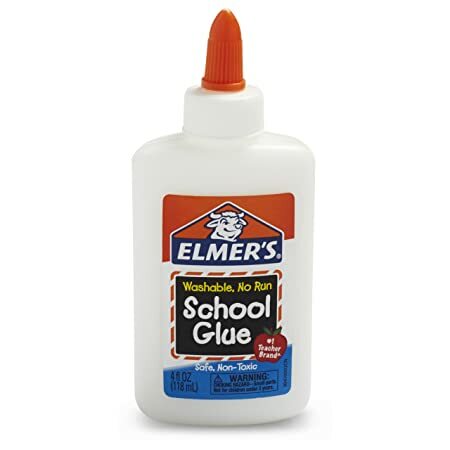 Plus it’s a lot cheaper to buy glue in larger quantities. 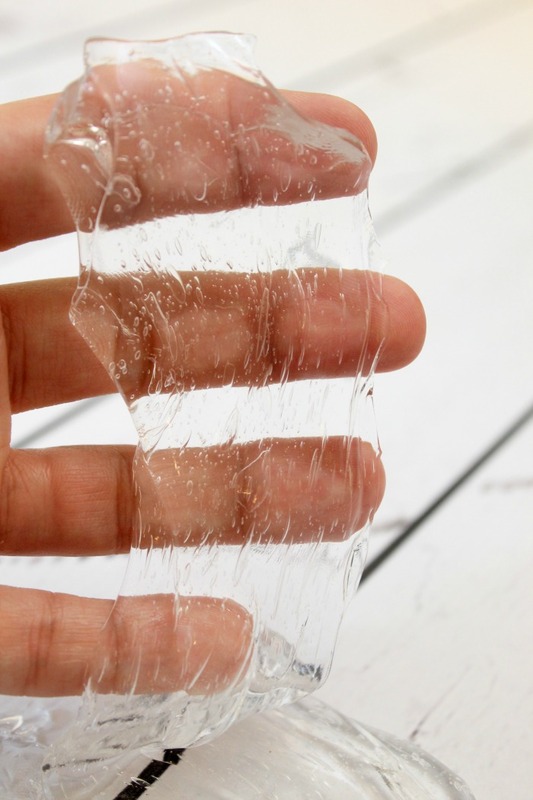 You will find that you are going to get a different consistency of slime using liquid starch. Some people actually prefer this method of slime making because it’s easier. You don’t have to mix anything. I find that certain glues and slime recipes do better with slime activator with Borax and some do better with liquid starch. Here are just a few of the products that I use to make slime! I prefer buying them on online because I can get everything shipped to my home without having to drag the kids to the store with me. It’s so nice to have things shipped right to your house. it doesnt matter. you just put more or less of it. It does matter. Very much. Too much borax, and you have a stiff rubbery mass that doesn’t flow and stretch like slime at all! 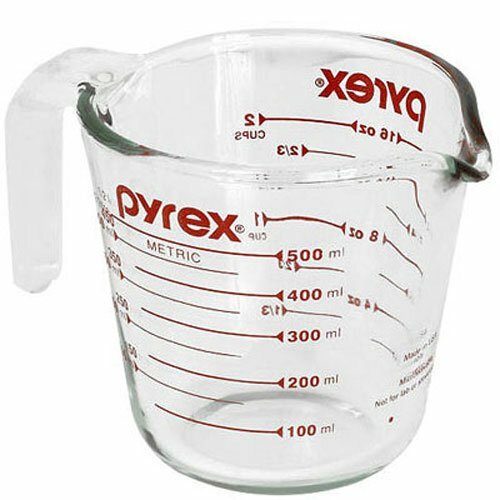 The correct amount is 1 teaspoon.